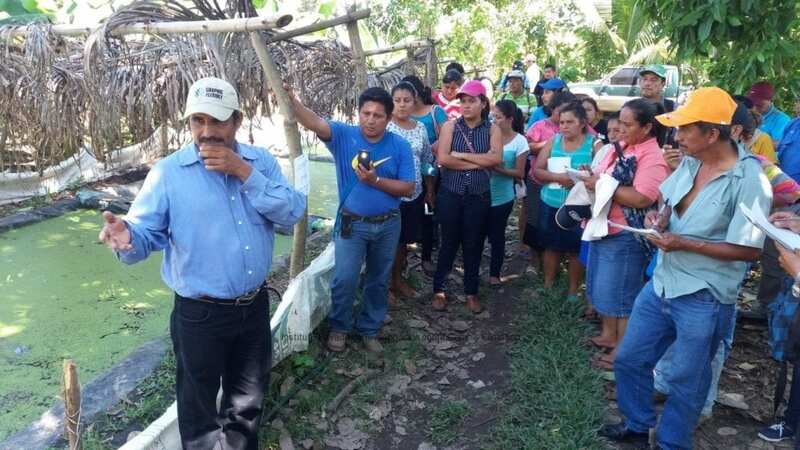 Last Monday, 31 community leaders from San Sebastian, Retalhuleu, visited the Canoguitas Village in Nueva Concepcion, and Conrado de la Cruz village in Tiquisate, both in Escuintla, to become familiar with the climate change adaptation and mitigation methods that have been implemented in the area. 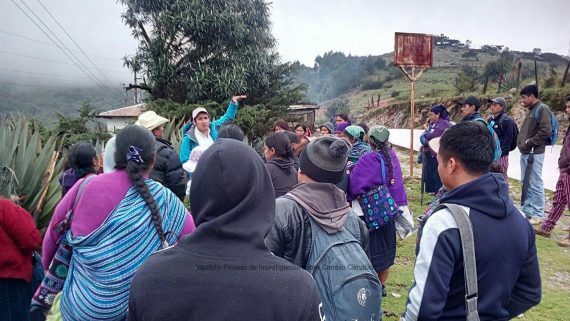 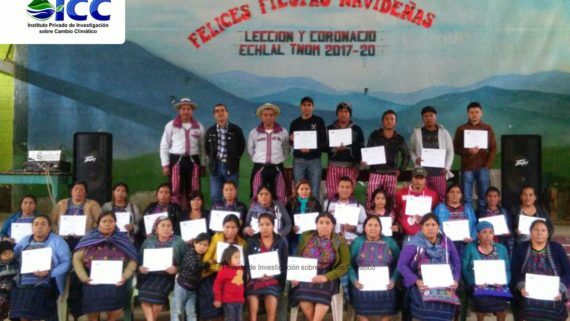 In Canoguitas, participants met three projects: First of all they met a dyke that protects the community against floods caused by the increase of the streamflow of the Coyolate River. 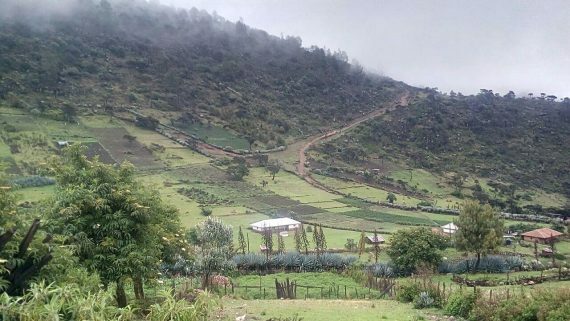 Along this dyke, the ICC is supporting a biological corridor that is being developed, and which is now home for different species of trees and birds. 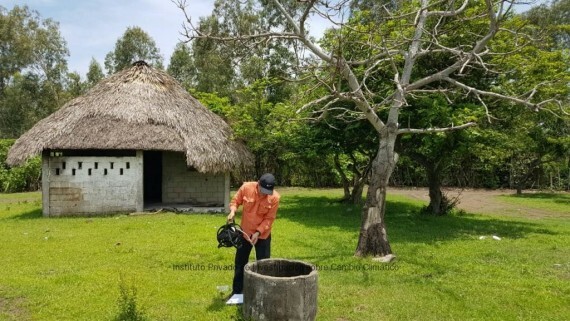 The third project is a pilot program to harvest tilapia fish. 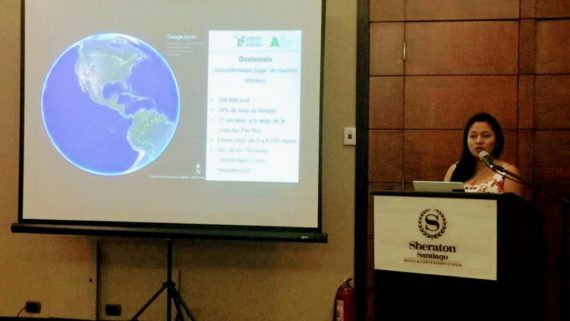 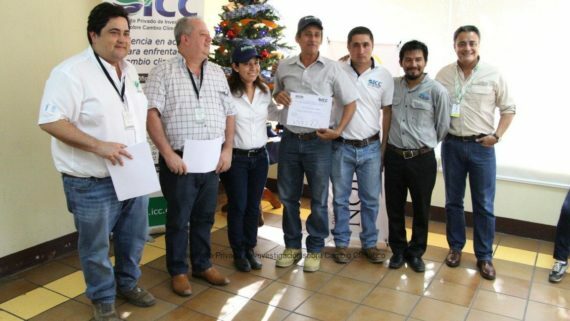 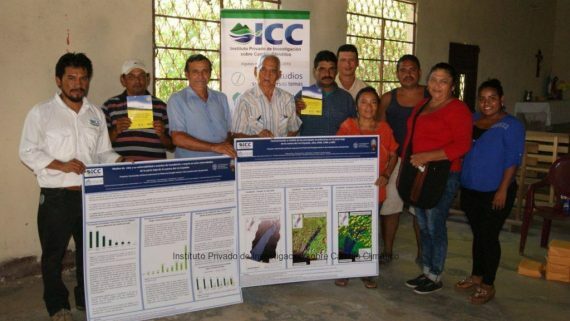 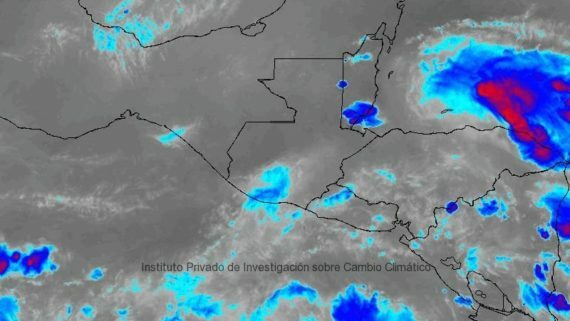 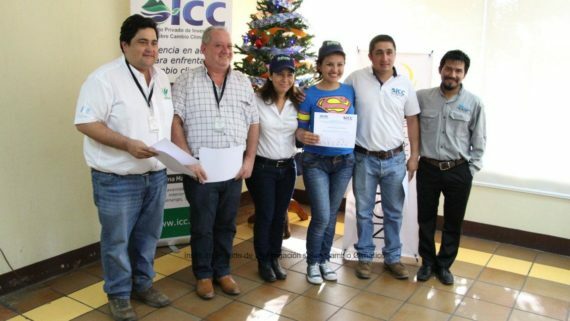 This project is also supported by the Madre Tierra Sugar Mill and the ICC, since it is a method to adapt to climate change based upon ecosystems. 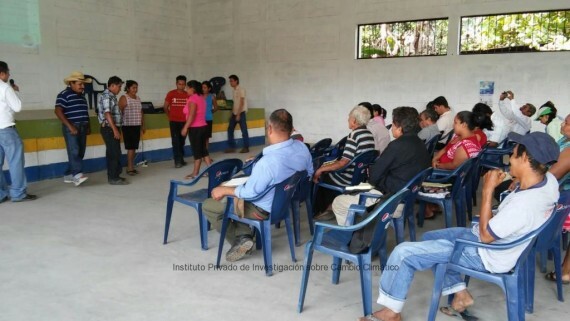 Later on, at Conrado de la Cruz, participants learned about the use of agroforestry systems (crops of corn with lemon trees and white stick trees) as a measure to reduce vulnerability to climate change. 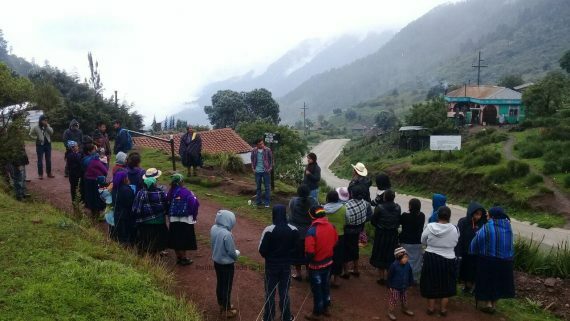 During the tour, participants learned about the experiences that these communities have had when implementing actions and projects to adapt and mitigate climate change; they took notes of the ideas and asked questions about the inquiries they had. 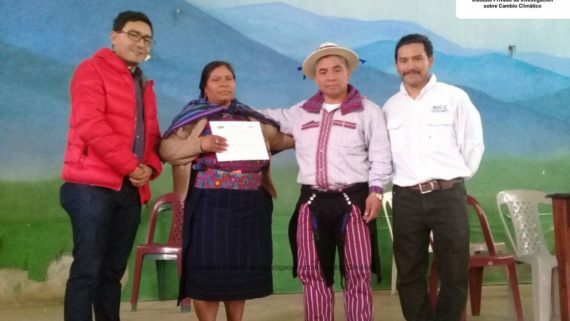 Participants also talked about the importance and usefulness of the new acquired knowledge, as they indicated they will implement the new knowledge immediately, since it will be very beneficial for their communities. 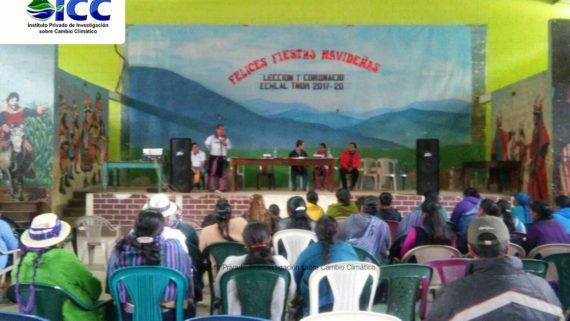 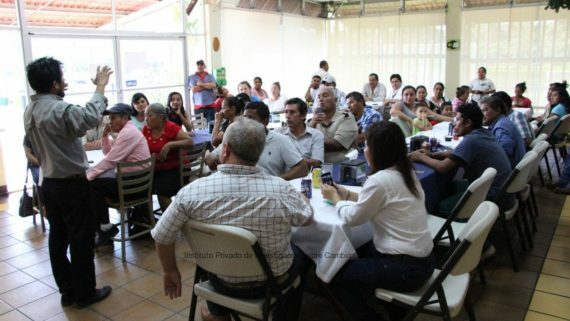 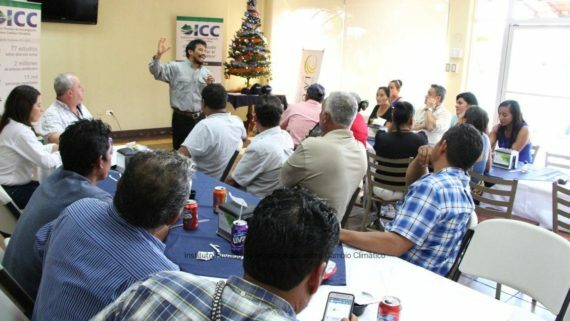 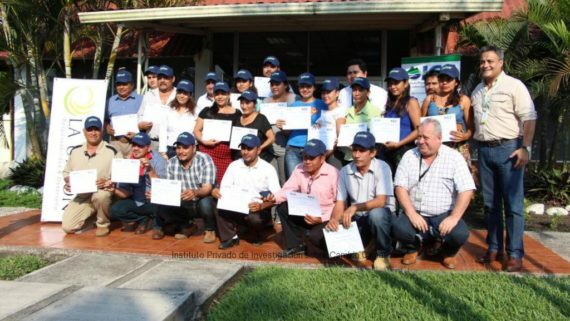 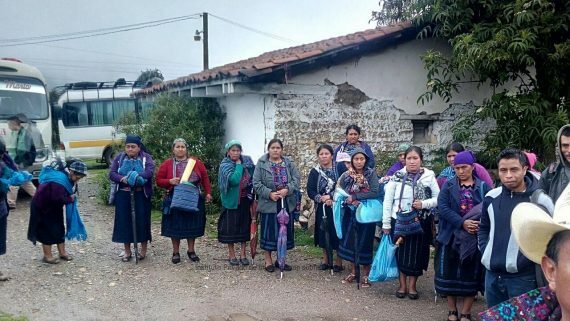 The 31 community leaders are currently participating in the “Community adaptation to climate change” training that is facilitated by the Private Institute for Climate Change Research -ICC-, and that is funded by the scholarship program “Study Opportunities”, sponsored by the Association of Guatemalan Sugar Producers -ASAZGUA-.